An original middle grade novel that alternates between Rocket, Groot, and Thor's trip to Nidavellir and Rocket's journal entries, this is the perfect lead-up to Marvel Studios' Avengers: Endgame. WHACK! When a mystery man lands smack-dab on the front of their ship while flying through space, the Guardians of the Galaxy bring him aboard to take a closer look. Is he an angel? With that eye patch, could he be . . . a pirate? Turns out it's Thor, the God of Thunder, and he's just as confused by the Guardians as they are by him: a rabbit captaining a ship, and a talking tree he can understand? 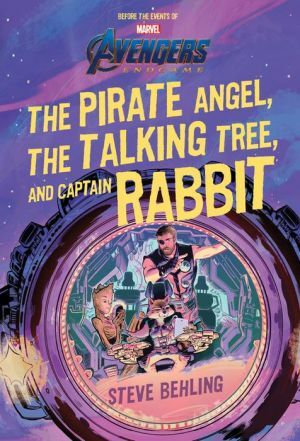 As the most unlikely team this side of the galaxy, the pirate angel, the talking tree, and captain rabbit head off to Nidavellir in hopes of tracking down the dwarves-the only ones who can forge a weapon worthy enough to be wielded by Thor and strong enough to defeat Thanos.